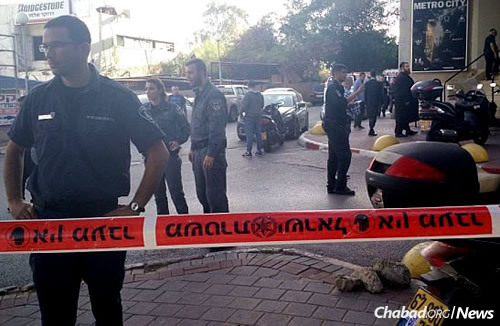 Two men were killed and a third wounded when a terrorist attacked worshippers during afternoon prayer service at a Judaica store within an office building on Ben Tzvi Street in Tel Aviv. The dead were identified as AharonYisayev, 32, from Holon; and AviramReuven, 51, from Ramle. Yisayev, who became Torah-observant as an adult, leaves behind a wife and five children who study at religious educational institutions in Holon. Funeral details have not yet been determined. The injured victim, a man in his 50s, remains in moderate condition. He was treated by Magen David Adom paramedics at the scene and taken to Ichilov Hospital. The suspected stabber, a 36-year-old Palestinian from the village of Dura near Hebron, was caught by a bystander, who subdued him until police arrived. According to the Shin Bet security services, the attacker received a work permit approximately a month ago. Employed at a local Bukharian restaurant, he told police that he got a job in Tel Aviv in order to attack and kill Jews. He had no prior record of security-related offenses. Police at the scene where two men were killed after leaving afternoon prayer services in a Tel Aviv office building. Three people were killed and seven wounded in a terrorist drive-by shooting in the Gush Etzion section of Judea, following terrorist stabbings earlier in the day that left two men dead in Tel Aviv. 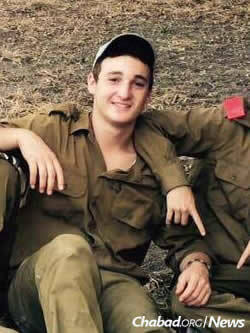 One of the victims was Ezra Schwartz, 18, from Sharon, Mass., who had been studying at a Yeshiva Ashreinu in Beit Shemesh. He was pronounced dead at the scene. 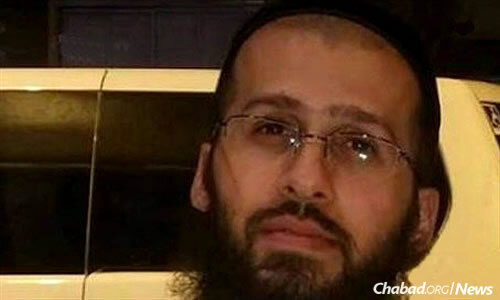 Rabbi Yaakov Don, 49, was also murdered in the attack. Don was a resident of Alon Shvut, an educator and a father of four. He died after being evacuated to Hadassah Ein Kerem Hospital in Jerusalem with bullet wounds to his upper body. 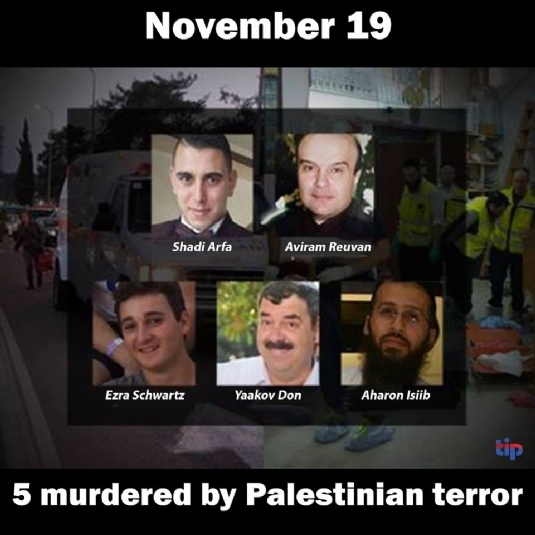 The third victim was a Palestinian bystander. Schwartz had traveled to Gush Etzion along with five other students from abroad to hand out food to soldiers. The others were lightly wounded and are being treated at Shaare Tzedek Hospital in Jerusalem. Members of the Magen David Adom ambulance service said the attack began when two terrorists opened fire on other vehicles from their car near Tzomet Gevaot. From there, they drove to the nearby Alon Shevut Junction and ran over at least one other person before they were shot and taken into custody by security forces.